Healing Pathway is a practice of gentle touch that supports the healing of body, mind, and spirit. Rooted in the ancient Christian tradition of laying on of hands, this service is offered free to anyone seeking the Spirit’s healing grace, at whatever stage of life or health. A session of Healing Pathway is a gift to one’s self – nurturing and restorative. You are invited to relax, fully clothed, on the massage table, and our trained practitioners will offer a healing method suited to your needs. The sessions are private and confidential, and take place in the peaceful sanctuary at Ralph Connor Memorial United Church. Started by Rochelle Graham, a Healing Touch practitioner, the Healing Pathway program was centred at the United Church of Canada’s Naramata Centre in BC from 1993 until 2015, when it became an incorporated society. In that time, training for practitioners has expanded across Canada. Today over 100 congregations, have Healing Pathway ministries. The healing ministry finds its home mostly within, but is not limited to, United Church congregations. Appointments are booked hourly, 4:00-6:00 PM, Monday through Thursday, by contacting Sue Nichols 403.678.4536 or Vicky Connoy, 403.609.2428. 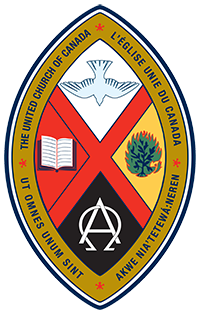 More information about the United Church of Canada’s Healing Pathway program is available through the Naramata Centre website or at Healing Pathway.